Background: St Anne was the Blessed Virgin Mary’s mother. 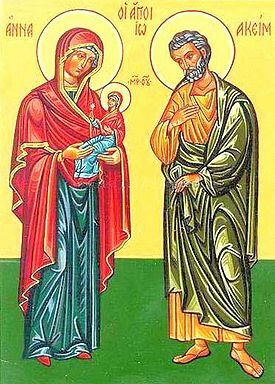 According to early church tradition, St Anne lived with her husband, St Joachim, in Galilee before moving to Jerusalem. After St Joachim fasted and prayed for forty days in the desert, Angels appeared to them promising a child. The child was the Blessed Virgin Mary. St Anne’s Feast Day is 26th July. by which I will strive to honour you during this novena. and adorable Trinity forever and ever. Amen. Pray for Us: Saint Anne, that we may be made worthy of the promises of Christ.